You may need that umbrella over the next two days. 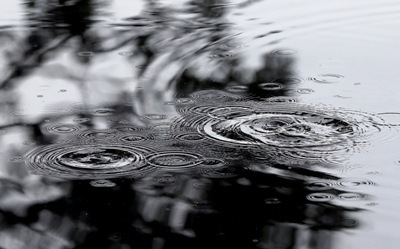 The National Weather Service says rain moving into the Ozarks Thursday morning will likely stick around through late Friday night into Saturday morning. There may even be some isolated thunder and lightning over far southern Missouri Thursday night. 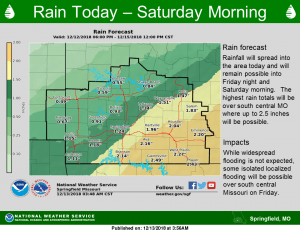 Rain amounts between now and Saturday morning could reach 2 1/2 inches in south central Missouri, 1 1/4 inches in Springfield and up to two inches in Branson. Track interactive radar on KTTS.com.